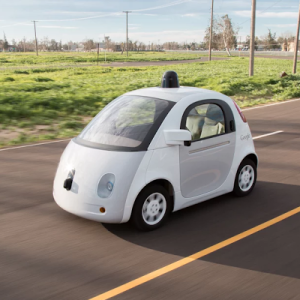 The automated cars will be hitting REAL roads in Mountain View, Calif. this summer…with a few caveats. First, there will safety drivers in the cars and second, they’re “capped at a neighborhood-friendly 25mph.” Google points out that they’ll be using the same system used in their Lexus fleet that has been “self-driving about 10,000 a week.” Translation: don’t panic! A professor from the University of Technology in the Netherlands, named Henk Jonkers, has invented something super amazing: concrete that can heal its own cracks. No, for real! He’s developed “bioconcrete” with bacteria in it, When the concrete gets wet, the bacteria is able to uses materials in his special mix to restore the damaged areas. Seriously, how cool is THAT? CNN has a video. This isn’t an actual REAL lightcycle we’re talking about. It’s a full scale replica of a Tron lightcycle. Although it works as a motorcycle (sorry, it doesn’t emit a beam of solid light), but it’s never been out on the road…and it sold this week at Sotheby’s for $77,000. You’ve gotta admit, it looks awesome! Late to the party Garmin has finally added a tracker with heart-rate monitoring. The Forerunner 225 running watch has a sensor built in, plus step counting, data sharing with your smartphone and an accelerometer. Engadget says it should ship no later than June for $300. It’s being likened to a StarTrek food replicator that can serve up dinner in seconds. The Genie is about the same size as a coffee machine. But, instead of brewing your favorite beverage, the Genie makes meals using pods of dehydrated ingredients. You select the pod you want to make, put it in the Genie, use the app to control it, and viola! Food comes out 30 seconds later. There are no preservatives in the pods but they have a shelf life of 1-2 years. Reuters has a video and you can see it in action! Okay, if you watch this video, even if you’re not a fan of drones, you’ll want one. For $499 special early pricing, you can have a Lily of your very own. The stories will come from nine major publications but they’ll be hosted on Facebook servers so they load fast. Facebook says it takes about 8 seconds for an article to load, but Instant Articles will be instant. The stories will come from The New York Times, BuzzFeed, The Atlantic, National Geographic, NBC News, The Guardian, BBC News, and two German publications, Bild and Der Spiegel. This will roll out to iOS users first, with Android coming soon. If you sign up by retweeting, money will go to saving endangered animals. Like other major companies, United has started a bounty program to pay techy folks who find security flaws in their systems. Only they’re not paying cash money—they’re paying miles. In fact they’ll pay out one million miles if you can find and prove a remote code execution. The question is whether there will be lots of blackout days to use them :-). Ever wonder where space station bits and satellite pieces go to die? It ends up, many – as in 161—are on the ocean floor. They’re all in one spot that’s furthest from any land (Antarctica is a mere 2,700 miles away). Gizmodo has the interesting story about the cemetery and what all is down there sleeping amongst the fishes.